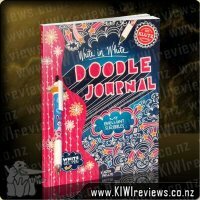 This 12 month calendar contains 12 beautiful illustrations from the best-selling and award-winning Kuwi the Kiwi series of books, written by Kat Merewether. Each page is printed on thick 230gsm wood-free board so perfect for framing at the end of each month, and also includes 2 sheets of stickers for special dates and events. Opening up my review parcel and seeing this absolutely stunning calendar waiting for me I may of let out a little squeal of delight such an exciting product to have been given the opportunity to review. I have been collecting the Kuwi range of books because as well as the books being an absolute delight to read the illustrations by Kat are just perfect. While having that cute factor for children I also feel like they have that wow factor for parents too. Ultimately my squeals of delight were in order as I opened the packaging to reveal the calendar itself which contains a 12 page calendar, each page featuring a beautiful illustration from the Kuwi books. I couldn&apos;t choose a favourite page I love all of them and each page could easily be framed after the year is up as they are on a great quality cardstock paper. By this time my 1 year old will be needing a big girl bedroom and I can&apos;t wait for these to feature proudly on her wall. My children and I loved going through the pages figuring out which picture each of us would have for their birthday month. With the included sticker sheets we were able to mark out our special date which my 6 year old found very exciting being able to add a sticker for his birthday with a space to write his name. It is going to be fun to look at throughout 2019 and will be a great way to talk about months and days with my children as they are so happy to look at the pictures in the calendar. A perfect calendar for young and old in my opinion and a great one to send to relatives overseas as an alternative to the gimmicky New Zealand calendars with landscape pictures I would much prefer to look at this on my wall. A great addition to our Kuwi collection hanging proudly on my wall ready to start in 2019. I was so pleased when I opened my review box to find two of my favourite little kiwi birds smiling back at me - Kuwi and Huwi on a calendar, and I was lucky enough to receive them!! I have 3 little kiwi birds of my own, aged 9.5, 7 and 5, and, as any Mama Kiwi will know - children = busy = multiple activities = need for organisation! I am also upskilling to return to teaching, so need to be able to note down assignment dates, and my husbands overnight duties for his job. Having Kat Merewethers beautiful creations on my wall makes it even more appealing. This is also the first year none of the children have done school calendar art, so I have not had the chance to buy one. Opening up the calendar and flicking through it, I was delighted by the Kuwi and Huwi pictures for each month of the year. I am totally in awe of Kat&apos;s illustrating and writing abilities and will be keeping the pictures after the calendar is used, to frame and put on my wall. The calendar has the event stickers that I love to use included also - for things such as birthdays, health appointments, school holidays, parties and even a space on the birthday ones to add name or age details. Th calendar is made of good and sturdy card, with the pages feeling strong but not heavy - as no one wants a calendar that falls off the wall! This calendar would make a lovely Christmas present for that person that "has it all" as it is beautiful, sweet and makes you smile. For Kuwi lovers - it is a no brainer - what a great gift! What I love most is that this calendar is designed in New Zealand - and though I would love to see it also made here rather than China, it is wonderful to have such talent here. The calendar sales also make a donation to the charity Kiwis for Kiwi - this also makes me recommend and continue to give my support. Fantastic work Kat and Illustrated Publishing - this is a beautiful calendar that is so much more and will be very much loved and used in our household. I look forward to being able to get the most out of this calendar in 2019 - hopefully it will help me to be more organised - we will see hehehe. I haven&apos;t used a wall calendar in a few years now as the convenience of the calendar on my phone has meant that there is no way to forget what&apos;s in my plans for the next week, month, year. That being said, though, my kids are beginning to gain interest in what our plans for the week are and my nine year old, particularly, keeps asking what our plans for the next day. So when I saw this up for grabs, I figured it was a perfect time to get a wall calendar again and teach the kids to read it (assuming that I remember to write in it, that is). This calendar begins with January and has two pages of stickers to use within the calendar. The pages feel nice and sturdy, I am a little worried about the holes where the hook will go, so will have to see how it holds up, especially as it will get touched quite a bit by the kids. Each illustration is sweet and cute. My nine year old noted some small parts where she reckons it could be neat to colour in, however these are just two very small pictures on each calendar page and she would have preferred it had been like the front, with illustrations that could be coloured in around each picture. The stickers have a good range on them, though I would have liked some blank ones, which would be perfect for using to make a date really stand out. A few more birthday stickers could also be handy, and I would have preferred &apos;school holidays start/end&apos; instead of just &apos;school holiday&apos;. 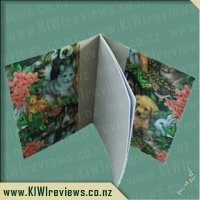 All in all this is a sweet calendar, perfect if you&apos;re a Kuwi the Kiwi fan. I was not to sure what to expect when opening this calendar up but once I had I was blown away at how cool it was and was sharing it with my son who was also excited. I think it covers everything you want in a calendar and thinks of things you wouldn&apos;t. I love the stickers and all the added extras it comes with and as I said all the things you wouldn&apos;t think of marking on the calendar but wished you did. The images are so lovely and bright and the whole family can enjoy them. I know my son loved looking through the calendar and seeing what picture was for his birthday month. I love how it also offers the Maori word for the month as well. The date squares are a good size for either placing a sticker or writing a quick note. I also love the little notes section at the bottom of each month for anything extra you wish to add. With the stickers I love the date night, shows a lot of thought has gone into making the stickers and making sure parents or adults take time out for themselves as we tend to forget at times. Another favourite of mine is the nature walk, how fantastic to look at the calendar and think tomorrow is nature walk day and to stick with it. Its always nice to get out with the family and these little gems added makes sure you make these special days happen. Grandparents day is also another favourite of mine, there was just so many awesome good qualities about the calendar I could list them all, but I will some as a surprise. Definitely worth a buy and to have on the wall for your 2019 calendar. Would also make fantastic presents if you are stuck on what to buy those hard to buy for people. There was a three way fight for this calendar when my 2 daughter&apos;s saw this but I managed to overrule them both by saying this would go in the kitchen for everyone to enjoy! Kuwi the Kiwi books are a firm favourite in our household so there was no surprise that this calendar would be so popular! The calendar is beautifully presented with some absolutely stunning illustrations. When opened up, there is a hole in middle at the top of the picture and a wire coil at the bottom which each calendar month hangs from. My only issue with this type of calendar format is that the hole can rip with the weight of the calendar so only time will tell if this happens. As it&apos;s on 230gsm wood-free board the pictures would be great in frames once they&apos;ve been trimmed and I asked my daughter&apos;s if they would like me to frame some pictures afterwards and they were both eager to pick out 6 illustrations each. My 10 year old daughter, who I didn&apos;t think would want some, kept telling me how adorable the pictures were and how she couldn&apos;t wait to have them decorate her room. The pictures are round and appear on a white background which makes them look &apos;clean&apos; and stylish and would make a beautiful addition to any bedroom. The actual calendar is just how I want to see my calendar, clear, simple and with a sans serif font. There are some small illustrations (such as a strawberry, snail and crab) on each page which make the calendar a little more interesting and pastel colours are used to fill &apos;empty&apos; blocks on the calendar which help to subtlety brighten it up. What I really liked was that there is a Maori definition for each month and the lunar month from the Maori year. So for September, I now know that it is Heptema in Maori and that Mahuru is the forth lunar month of the Maori year. An extra bonus with this calendar is the two pages of stickers and we had great fun writing people&apos;s birthday&apos;s and adding public holiday stickers. No doubt there are a number of stickers that we won&apos;t use (I&apos;m hoping we won&apos;t have to visit the Doctor seven times!!) but it is a lovely touch and one that the kids loved too! This calendar would make a beautiful gift for those young and old and I love that the pictures can be kept and admired long after the year has finished! As a mother of three young children I have to admit that I am constantly forgetting appointments or special occasions. As the children are getting older they seem to be becoming busier and busier, both during the week and in the weekend. 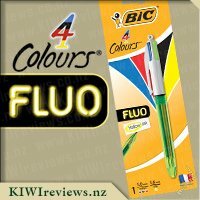 While I was browsing the KIWIreviews site I saw that there were some Kuwi the Kiwi products available to request, the 2019 calendar caught my eye immediately as I thought it would be ideal to bring some degree of organisation to our household. To my pleasant surprise I found one of these Kuwi calendars in my review goodies, my daughter instantly tried to claim it for her bedroom, but we compromised when I said she could use it too in the kitchen. My daughter was exceptionally eager to open the package and see the different illustrations for each month, on the front page there is a picture of Kuwi and her chick Huwi, along with some other illustrations that my daughter decided she could colour in with her pencils. Upon opening the calendar and having a glance through, I loved the illustrations and you can tell the stories they came from were created with love, I personally loved the June picture in particular. The calendar is made of a thick card and has a space on each month to write some notes, and the squares of each date are just the right size. Enclosed there was also 2 sheets of &apos;Event Stickers&apos; which will be exceptionally helpful, these include birthday stickers, school holiday, nature walk, dentist, doctor, party and many more. We have started already naming some of the birthday stickers and placing them on the calendar. I highly recommend this product for its functionality and gorgeous pictures of Kuwi and friends, the stickers add an extra element and my daughter enjoyed placing the stickers on the right dates. I will continue to support the author of the Kuwi series, Kat Merewether, as she is an ambassador for Kiwi for Kiwis, and donates 20c from every Kuwi product sold. Kiwis are our national bird and we need to help protect them so they do not become extinct! 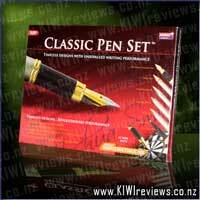 Six beautiful writing instruments including famous Classic fountain pen with virtually indestructible IRIDIUM nib. A sixty-six piece refill set is included in the set. • Crafted from the finest brushed stainless steel. • Beautiful design. revolutionary performance. "You know you've read a good book when you turn the last page and feel a little as if you have lost a friend"